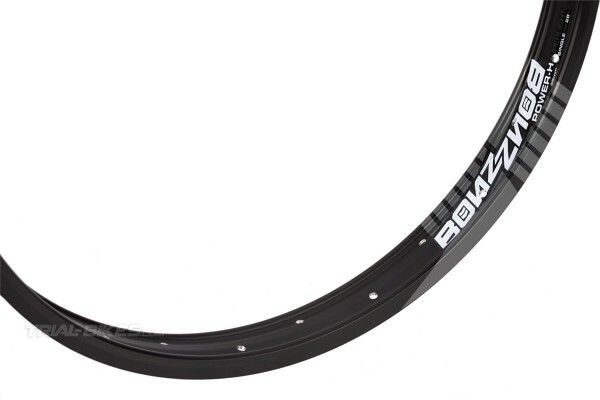 - New single-walled Bonz Power-H 20” front rim developed by French brand Bonz, new for their range of trials parts. - This is an innovative rim that breaks the mold, since it doesn’t have any drills on the base to save weight. 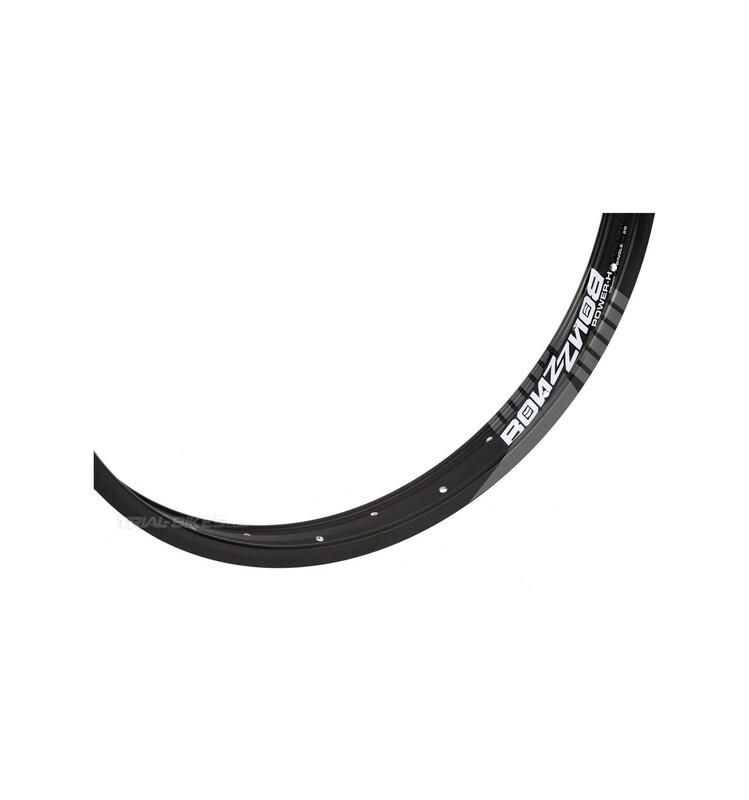 This is due to the priority of Bonz for this rim being stiffness, strength and durability. - Furthermore, every profile’s stiffness has been thoroughly analyzed, so even though it is undrilled, this rim is still lighter than many other brands’ rims! - Completely made from 6061-T6 aluminium alloy, which provides exceptional properties to make this a durable, reliable rim. - Single-wall, extra-wide 35mm design ensures much higher stability than 32mm rims, which helps prevent the tyre from flattening. - Deep I-beam extrusion increases sidewall stiffness considerably while braking. - Features a special heat treatment that improves braking performance, so it’s ideal for using with rim brakes. - This rim has 28 spoke holes orientated on the rim sides, great to use shorter spokes and therefore make an easier, stronger and stiffer wheel build. - Available in anodized black finish, with white and grey Bonz Power-H graphics. 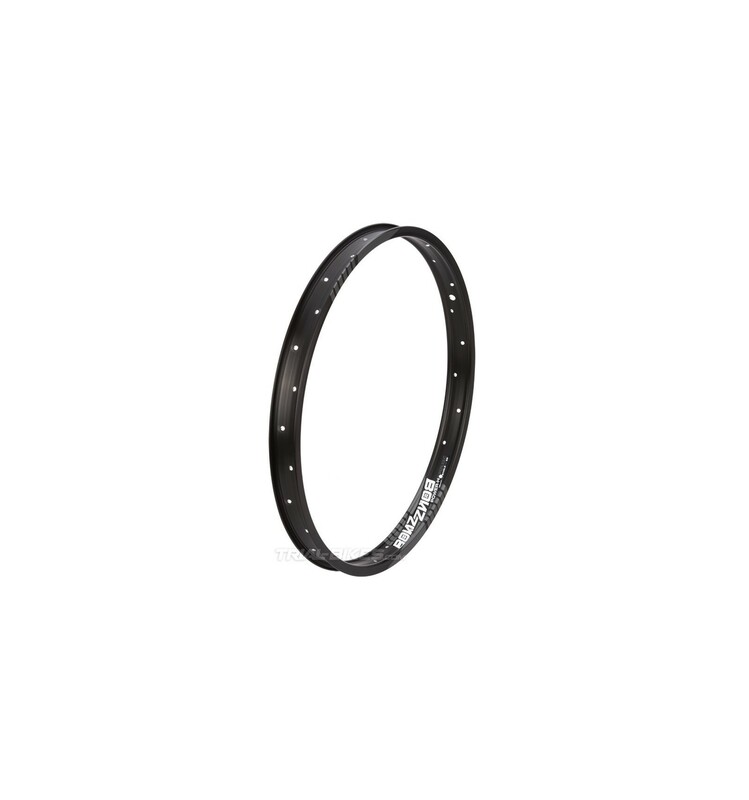 - This rim has 28 spoke holes, therefore it must be used with a hub that also has 28 spoke holes.